It’s taken me way too long to get these pictures posted, but better late than never, right? My best friend and I headed out for an impromptu photo shoot while she was also home in Tampa, and I love how the pictures turned out. I’ve already posted a few of these on my Instagram, and so many of y’all commented on just how cute this tasseled top is! 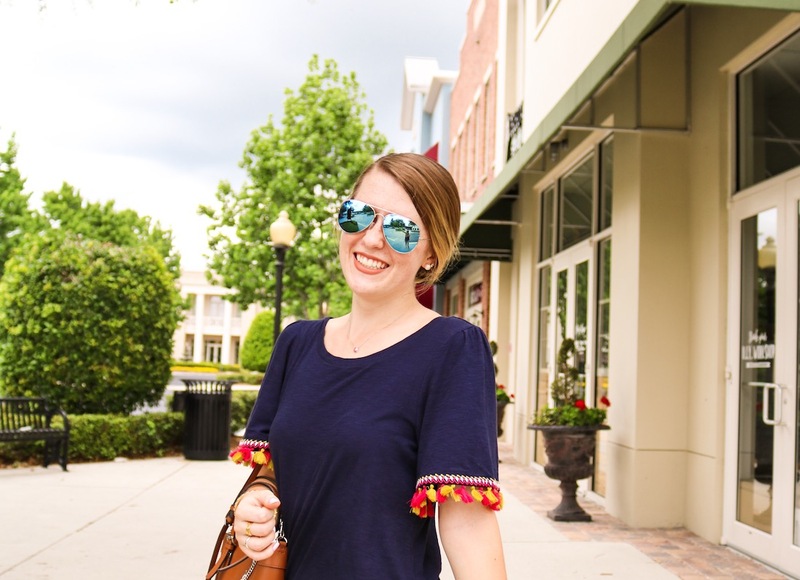 Navy is so classic, and this bright pink tassels were too perfect to pass up! My exact top from Loft is sold out, but I’ll link it directly here in case it happens to come back in stock. You can shop the other items from this look below. Almost all the exact products are linked!